You know the drill. As one year rolls into another, the reflections of the 365 days that have passed become visions for the 365 to come. Yes, I am talking about New Year’s Resolutions: the pictures of a bikini-clad bodies attached to fridges with a magnet as inspiration of the figure that can be achieved if the door isn’t opened too often; the statuses put on Facebook and Instagram profiles (because if it’s not on social media, it’s not real, right?) of the kind of 2018 that lies ahead; the new gym contracts taken out; the commitments to eating cleaner, wasting less time, saving money. Typically New Year’s Resolutions fall into these three categories: weight loss and diet, productivity and finances. Even more typically, they are hardly ever kept. A University of Scranton study, quotes by Forbes Magazine, found that only 8% of people keep their New Year’s Resolutions while Business Insider claims that 80% of New Year’s Resolutions are broken by the second week of February. That’s why gyms have emptied out by May and mid-year stress levels soar. Experts recommend scaling down the size of the goal as one solution, and it’s something that’s worked for me personally. Most of my New Year’s Resolutions are pretty simple. In 2010 it was to start drinking more tea instead of coffee, and I’ve stuck to that ever since, but there’s a dissastfaction that comes with that. It’s easy to pick something that you know you can do without much fuss, something like drinking tea. It’s much more difficult to set your mind to doing something that requires a lot of effort and a change in lifestyle like sticking to an exercise routine or eating better or not spending all your money on online shopping sprees. So what to do if you really want to tackle something more serious than boiling your kettle and buying some bags of Rooibos? Some advice suggests breaking up the main goal into several smaller mini-goals and others say setting up a rewards-system for yourself, so every time you climb one step on the ladder towards your eventual end, you give yourself something works well. Some recommend an accountability partner, others that that you keep a checklist and tick things off on your own. Some say review the main goal every three months, others demand that you have more frequent assessments. This year, I say change the wording. Say you are setting an intention, not making a Resolution and then start to understand what this really means. The best way I can explain this is through my own story. I am a compulsive planner and have been known to make lists about making lists. When I find myself feeling overwhelmed, I think that if I sit down with a notebook, pen and a calendar and start to write down when I will do what, it will calm me down. Often, it has the opposite effect but as a creature of habit, I return to this same pattern regularly. Recently, I have learnt to acknowledge that when I feel the urge to “plan my life,” it’s often because I am trying to bury anxiety and I have started to try and address that anxiety instead. At the end of 2016, I bought a diary which had the words “Better than Yesterday,” emblazoned on the cover and the first thirty pages were set aside for planning. There were lists upon lists for ten goals for the year, monthly questions about how each goal was progressing and quarterly overall assessments. It was a diary about progression - each day had to be better than the last - and I thought it would help me start my yoga business, finish my Masters and take some big steps towards advancing my journalistic career. I wrote down step by step how I wanted to do things and I planned to follow it. That is setting an intention. It’s saying to yourself that right now, in this moment, it is your aim to run a marathon by May and then accepting if after the first month of training, you feel like learning to swim instead. Intentions, to me, are less rigid than goals. They allow for flexibility and they can be revisited and reformed along the way. They are about what you feel now and not what you want to feel later. Towards the end of last year, I stopped writing in the diary and started doing. My yoga business began and within two months, it grew. I am on my way to finishing my Masters and I have made some career changes that I wanted to make. More importantly, I am much happier with my day-to-day way of doing things because I am less hard on myself. I don’t want every day to be better than yesterday, I want all days to be individually amazing and it is my intention to keep doing things like this in 2018. May you have a blessed year. 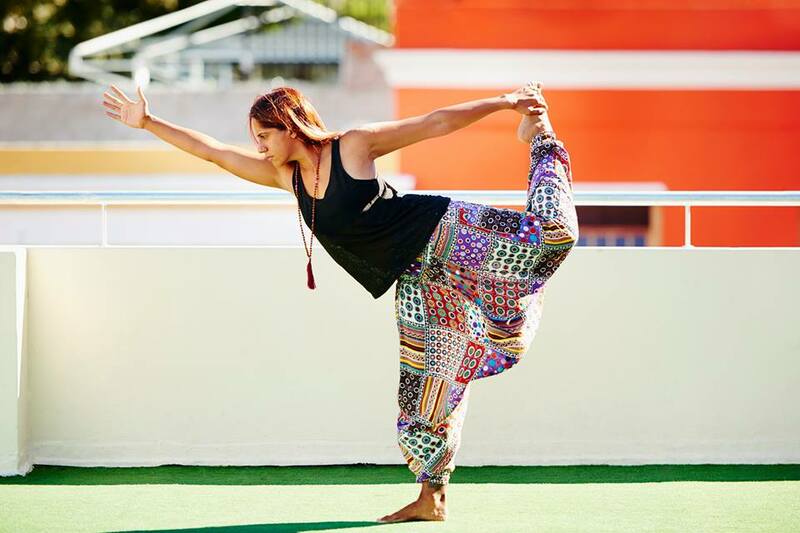 Teacher Training & Rocket Yoga in Stellenbosch!